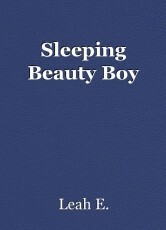 Sleeping Beauty Boy, short story by Leah E.
Short Story by: Leah E.
Before I begin, all names will be kept private. Only for my sake, and I want to stay as anonymous as possible. I will refer to myself as Leah, and my brother as J. Everything seemed fine. Everything was normal. My 2nd grade mind was happy. Then, all of a sudden, it became harder and harder to wake my brother up. I think the first time it happened was when he was in band. He fell asleep. In band class. He didn’t wake up until the teachers woke him up at the end of class. I didn’t understand that well when I was told that happened. It started getting worse, and one time, he wouldn’t wake up. My dad even got out the electric guitar! He only woke up after my mom pressed on his chest without realizing, making him unable to breath. I was in my bedroom across the hall when this was happening. It was scary. But I tried to ignore it and get ready for school. Sometime after that happened, he started going to a doctor. Some time after that, my mom sat me down. © Copyright 2019 Leah E.. All rights reserved. Other Content by Leah E.